CrimShield’s Contractor Management platform is the perfect protection solution for businesses of every size that not only count on contractors and subcontractors, but want to know the men and women who are representing their brand in customer’s homes don’t pose a security or liability risk. Every day, millions of drivers, installers, technicians, and repair personnel enter homes and offices to work. They serve some of America’s biggest companies, but don’t always work for them directly. That can make it difficult to know who’s on the payroll, issue ID badges, and make sure they’ve been properly screened and verified. We make security a cornerstone of our Contractor Management platform. Years of experience have shown us that roughly 17% of contractors are hiding a criminal past at any given moment by altering their names, birthdates, and/or Social Security numbers to hide their convictions and violent histories. Sometimes they use their jobs to gain access to customers’ homes and offices so they can commit future crimes. When that happens, both the contracting company and the business they are serving are likely to be found liable in court. By combining this simple layer of security with a powerful system that can be used to manage employees and contractors together, we make it easy to run your business more profitably and efficiently. 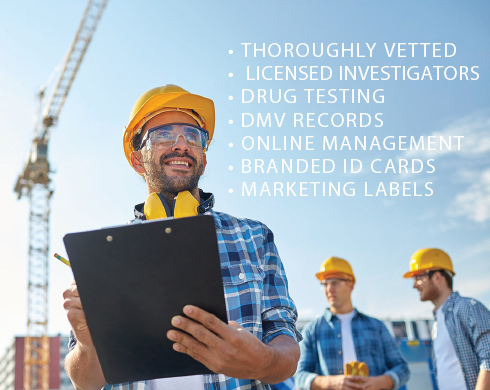 You get the peace of mind to know your contractors are only hiring men and women who can be Crime-Free Certified, and the tools to manage them – and their credentials – on an individual basis. Lots of vendors claim they offer intensive background screening and identity verification, but only CrimShield obtains records directly from courts and has every file managed by a licensed investigator. 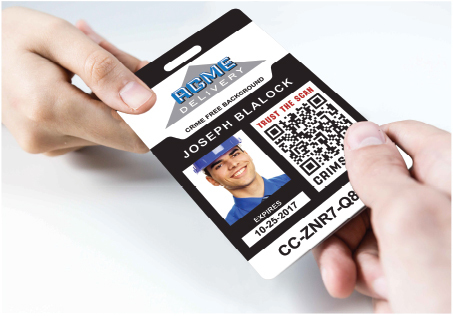 The difference shows in our results, and it gives you an enormous marketing edge when your uniforms, scannable photo ID badges, and company vehicles all show your company’s Crime-Free Certification. If you’re ready to take the stress out of managing contractors, reduce your liability, and show customers you’re serious about keeping them safe, reach out to a member of the CrimShield team today at 888-422-2547 to learn more. HOW CAN CRIMSHIELD HELP YOU? © ContractorManagement.com | All Rights Reserved. Where do we need a system for employees and contractors management system?